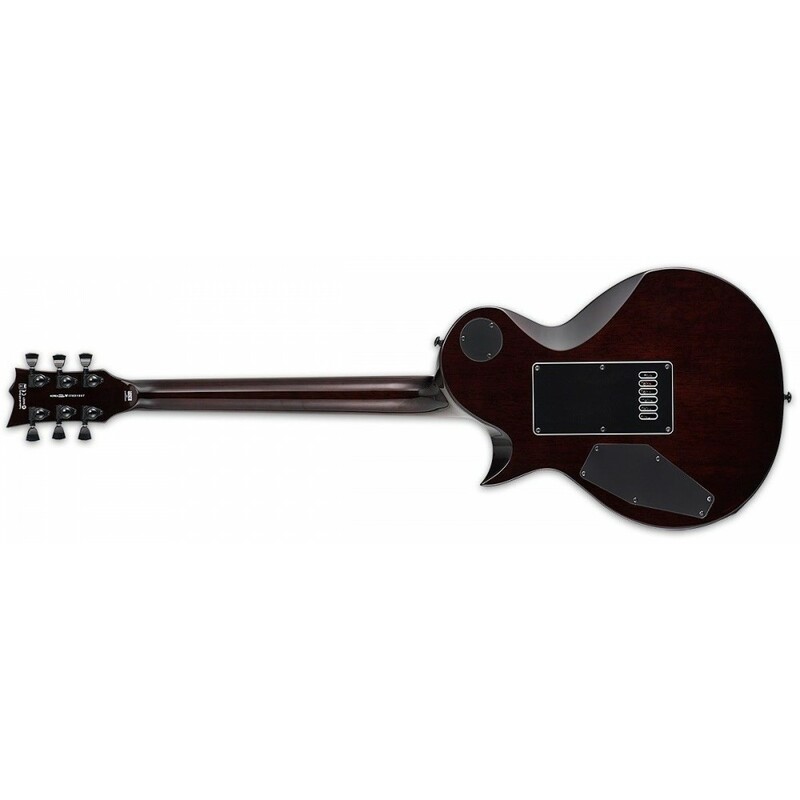 Guitars in the LTD EC-1000 Series are designed to offer the tone, feel, looks, and quality that working professional musicians need in an instrument. 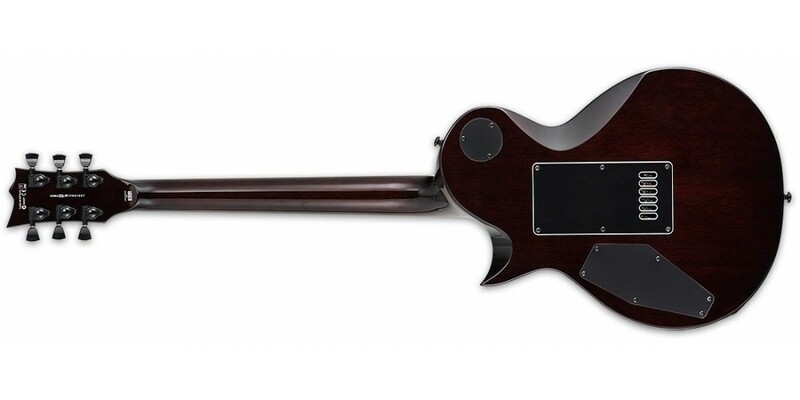 The EC-1000 EverTune adds a remarkable technology with the EverTune bridge system, which delivers constant tension that keeps your guitar in tune and with near perfect intonation up and down the neck under almost any condition. 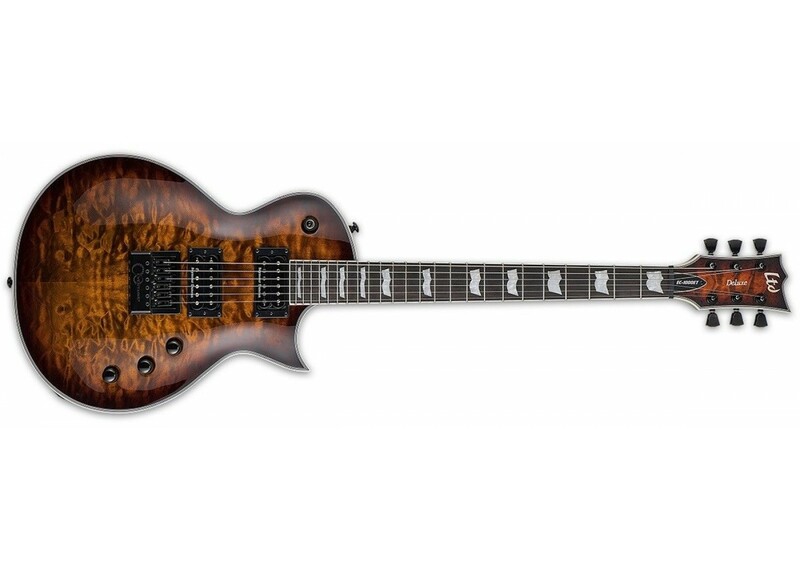 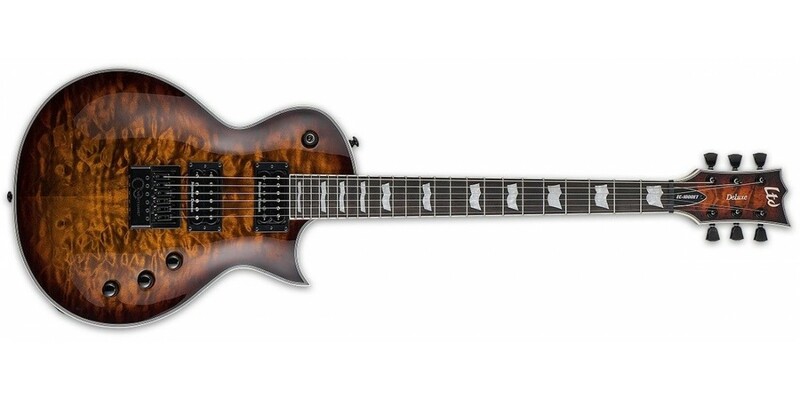 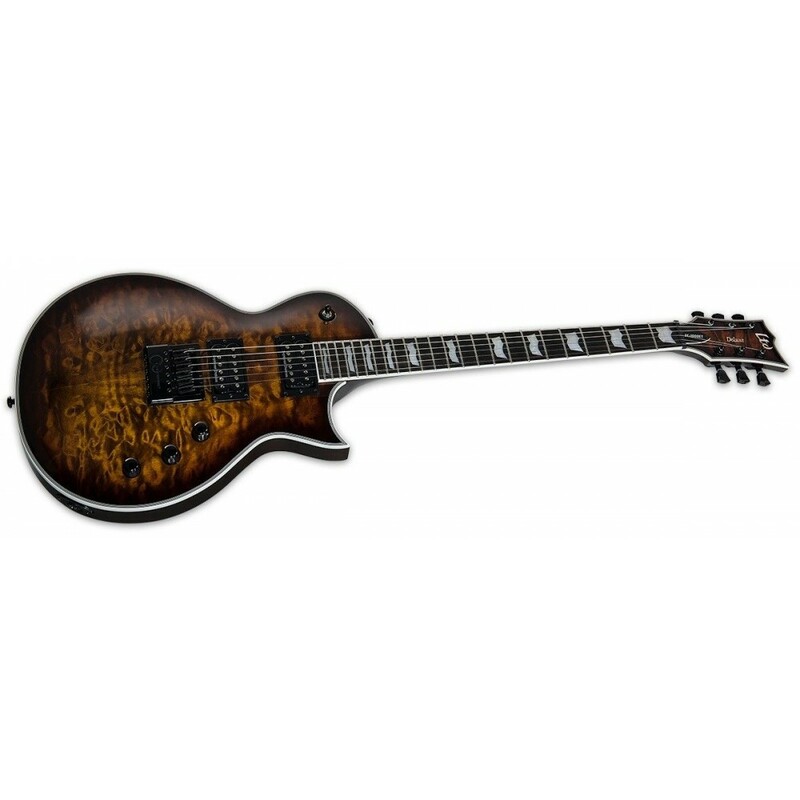 Available in several styles including this great-looking quilted maple top with Dark Brown Sunburst finish, it offers set-thru construction with a mahogany body and maple cap, 3 pc. 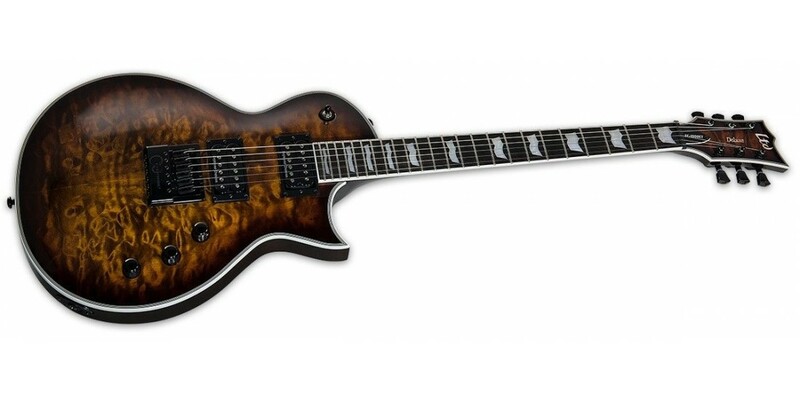 mahogany neck, and 24-fret macassar ebony fingerboard, multi-ply body/neck/headstock binding, and the excellent tone from Seymour Duncan JB/Jazz passive pickups.